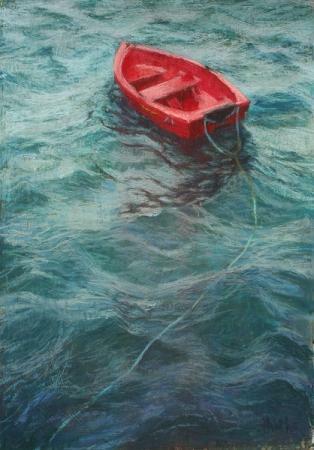 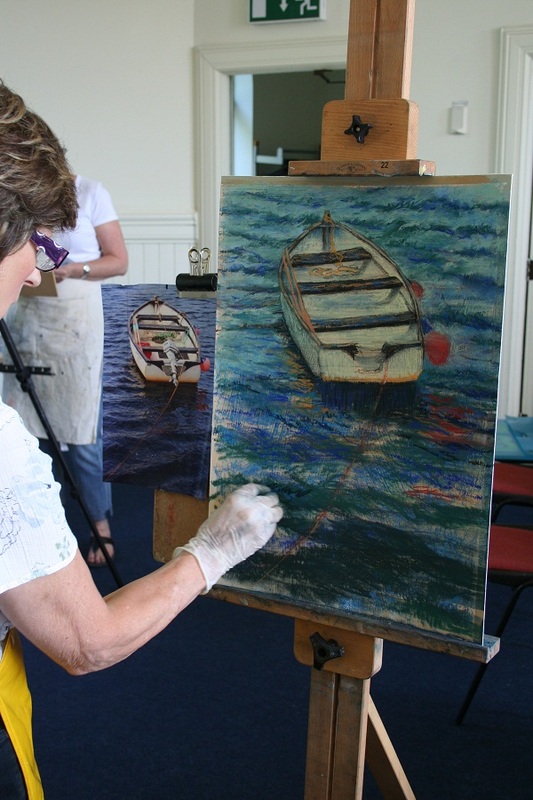 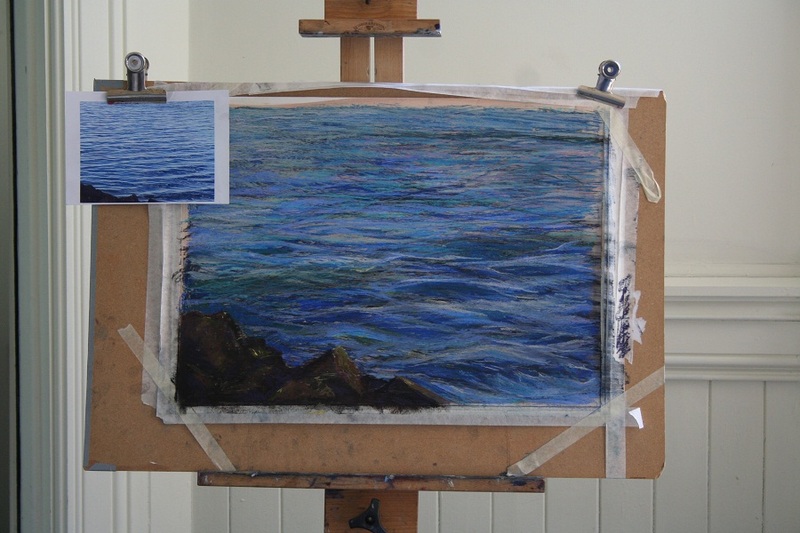 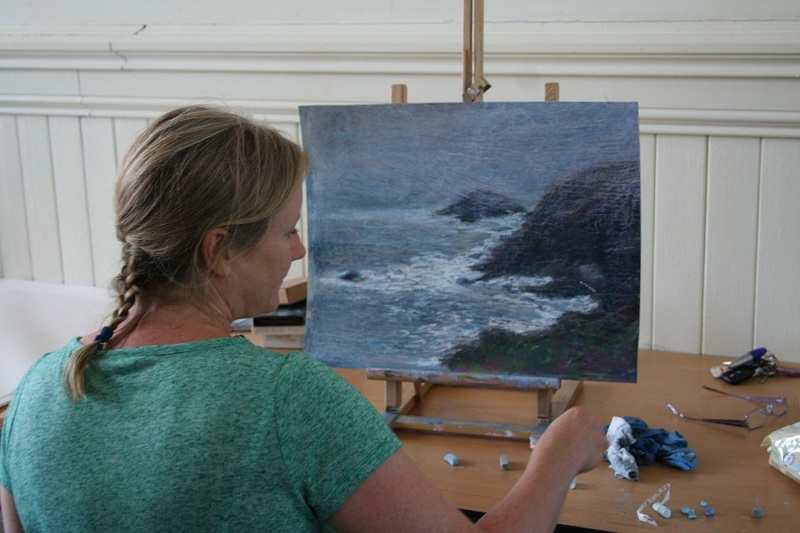 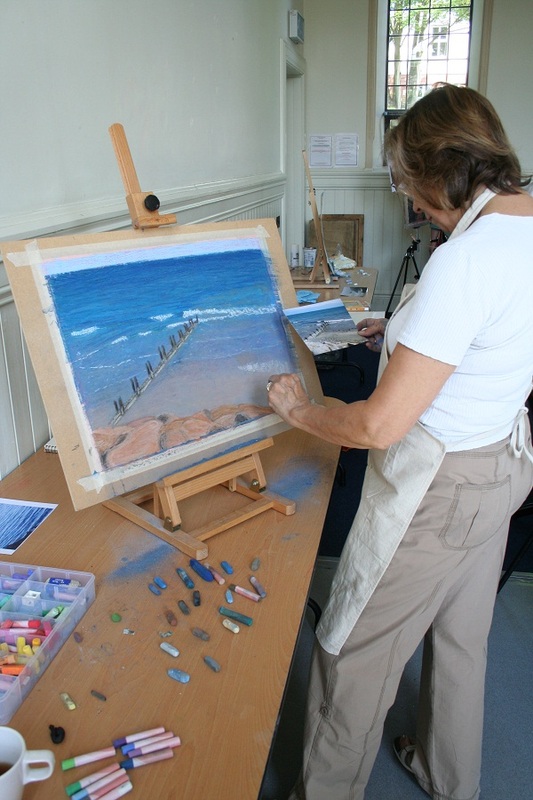 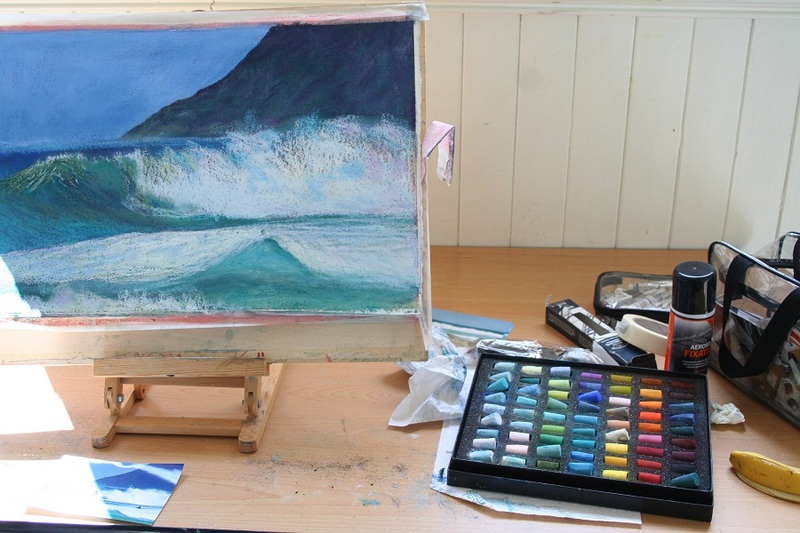 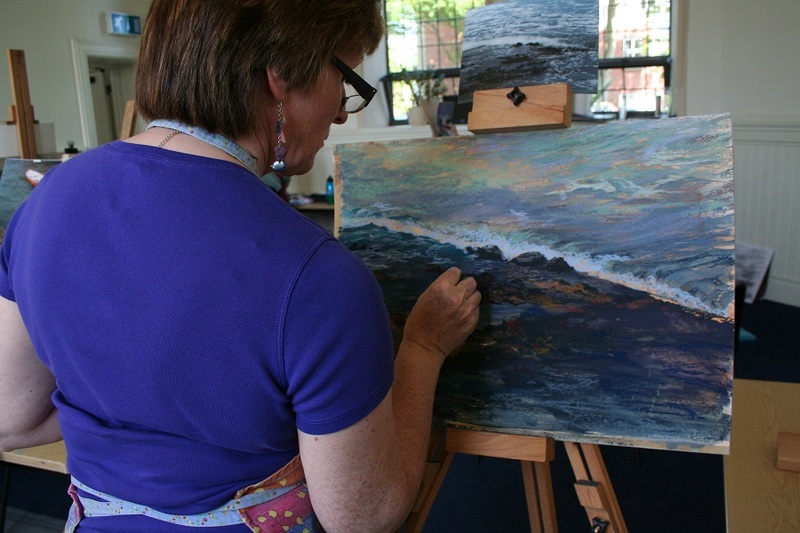 Soft pastels are, for me, a perfect medium for representing one of my favourite subjects – the sea. 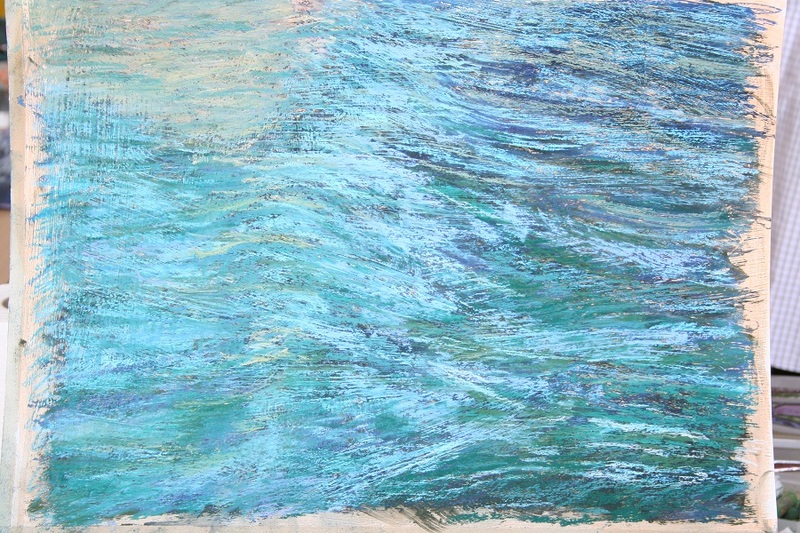 Whether it’s the wild, grey and black, crashing waves of the Atlantic or the gleaming reflective blues and greens of a summer-calm harbour. 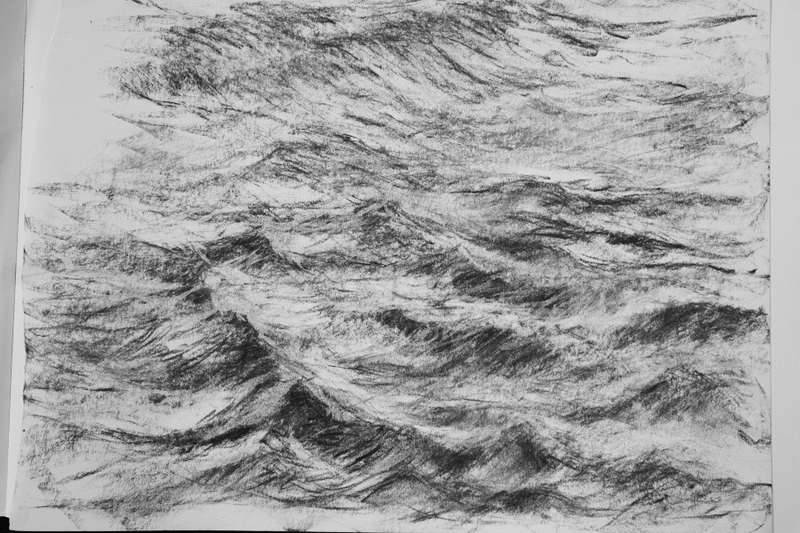 Water has a pattern and if you look long and hard enough this becomes apparent. 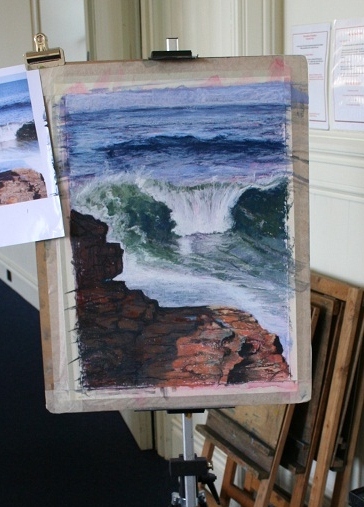 Each person had their own image source and I had supplied board with roughly prepared gesso and marble dust which they coated first with a thin layer of acrylic colour of their choice. 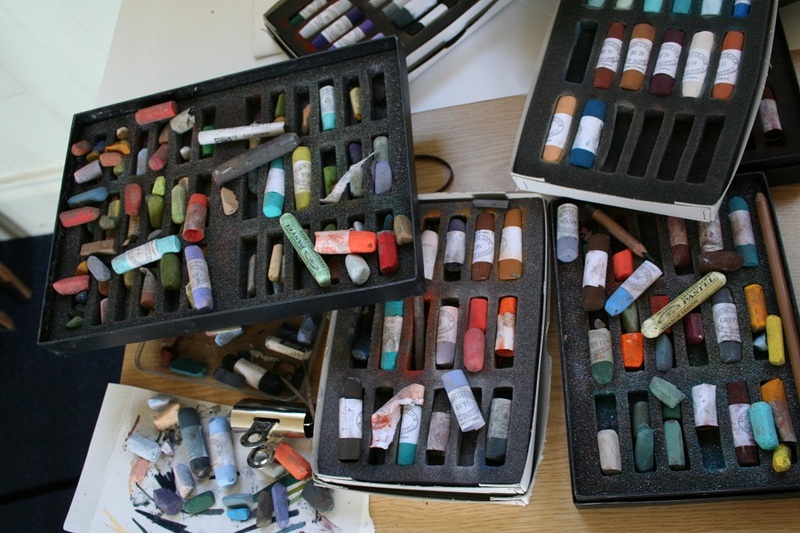 My suggestion was to underpaint with a warm colour such as burnt sienna. 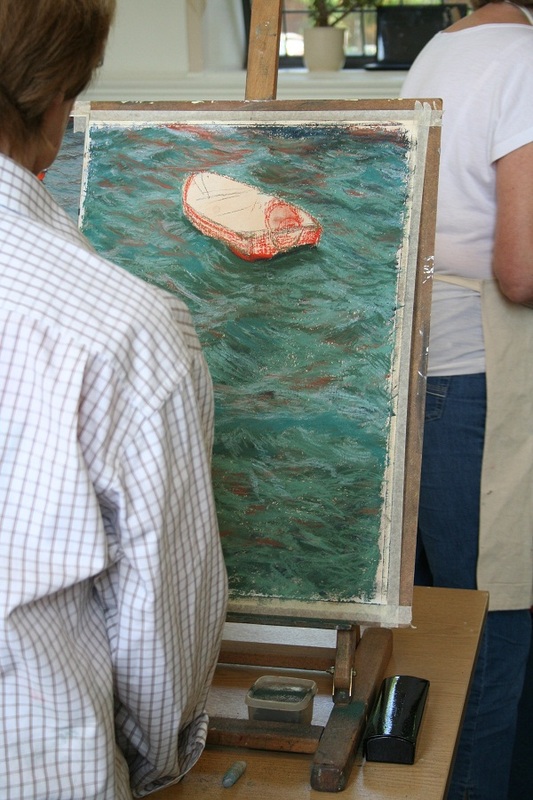 The underpainting colour will affect each subsequent colour applied and even if it can no longer be seen it will warm the final image. 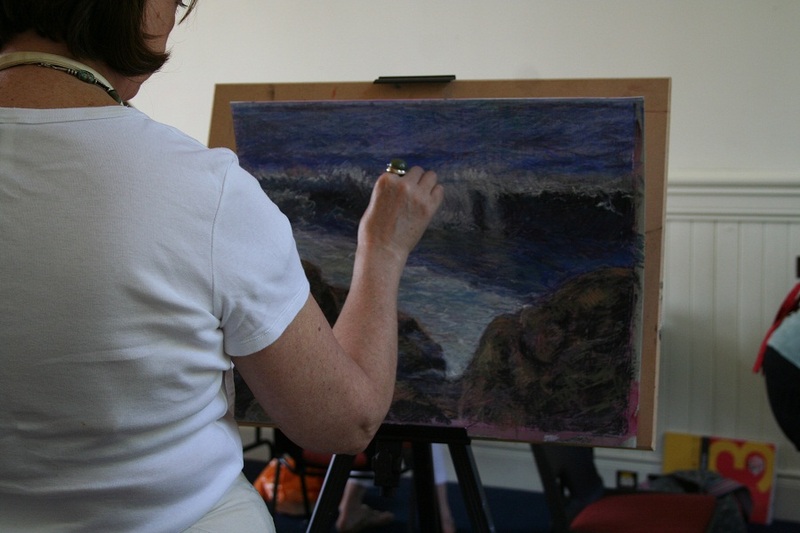 The workshop consisted of people of varying abilities and experience and some of the following images are still works in progress.